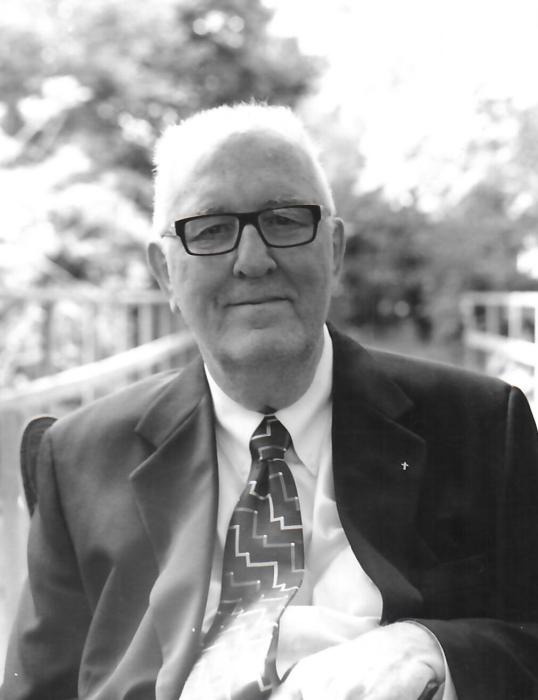 John Tyrrell of Elie, passed away at Seven Regions Health Centre, Gladstone on Saturday, March 30, 2019 at the age of 87 years. Jack was born in London, Ontario, April 20, 1931. He will be joining the love of his life, his wife, Shirley Agnes Tyrrell who predeceased him in 2014. He is survived by seven children John (Robyn), Jamie (Roxanne), Gill (Diane), Janet Girard (Danny), Tim (Marie), Melanie Tyrrell-Benderski (Darrell) and Doremy (David Strong) and 10 grandchildren Justin (Britt) and Renee Girard (Ken), Jessica MacDonald (Eric), Zachery and Jacob Craig and Jayleen and Cassidy Benderski, Michael, Brendan, Holly, Sean and Jack Tyrrell, and Brittany Robbie and Lauren Mendez. He will be missed by all of his family and friends who loved, and cared about him. A Memorial Service will be held at 11:00 am on Wednesday, April 17, 2019 at the Holy Trinity Anglican Church in Headingley, Manitoba. In lieu of flowers, please donate to a charity of one’s choice.